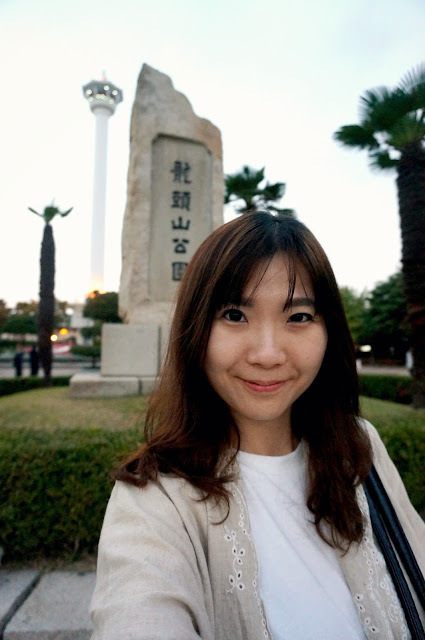 It's me again to share my travel story in Busan. 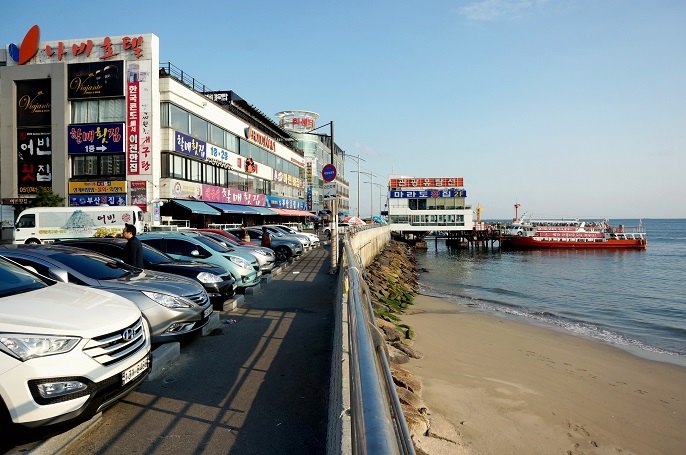 In my previous post, I already covered GamCheon Cultural Village and Jagalchi Fish Market on our second day in Busan; if you haven't read them yet, just click on both links. 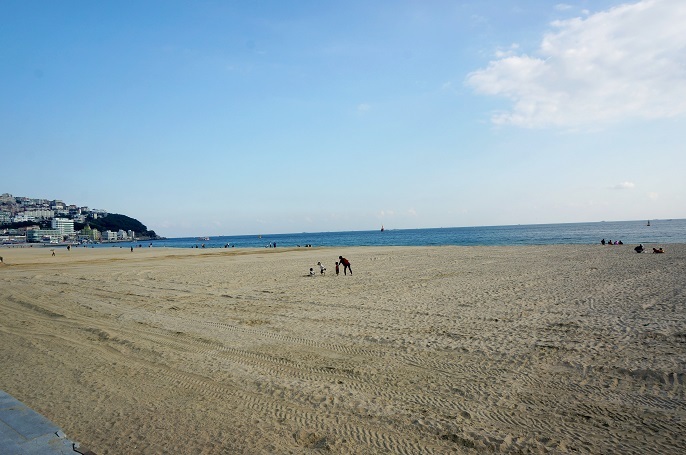 And, today I will sum up the Busan itinerary with Haeundae Beach, Busan Tower and Yongdusan Park. It's gonna be a loooong post! So, say your are READY with me! So, yea! 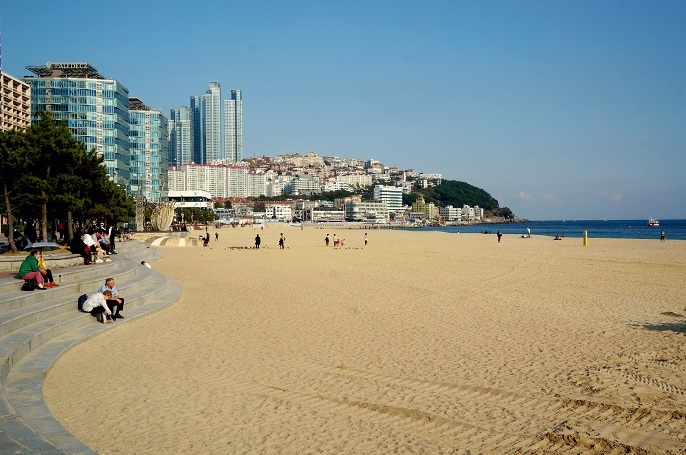 Here's the Haeundae Beach in Busan. It's a big mistake for us that we didn't check about the distance, and is it worth going there before hand. 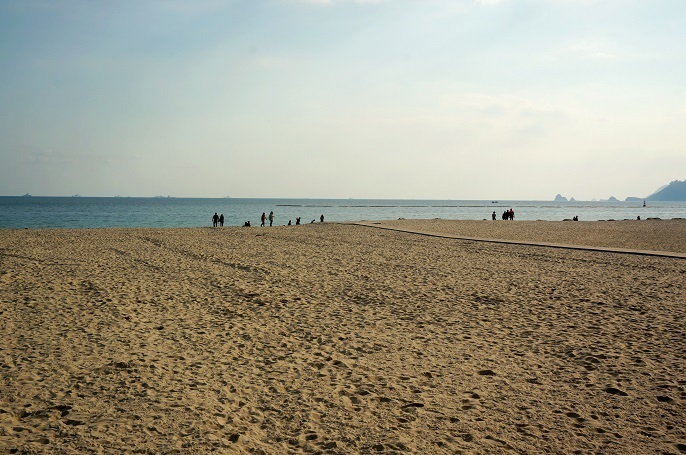 Haeundae Beach is probably the most famous beach in Korea. 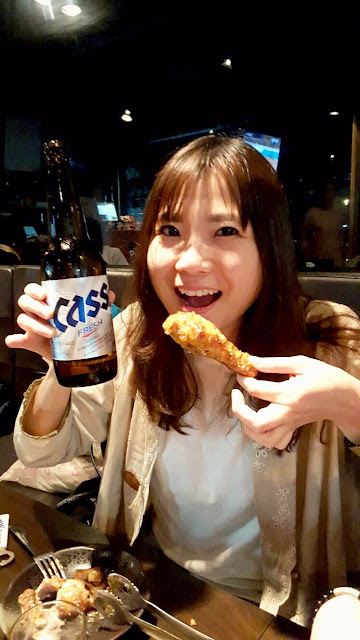 It's not only famous of it's big clean beach, white sand, and blue sky, but also it's a place for the locals to have their various cultural events and festivals. I guess it must be very happening during the summer season! We were there during weekdays, so it wasn't so crowded. Indeed, the surrounding was quiet and pleasant, and you can hear the ocean waves rolling one after the other. Perhaps it is more interesting and fun during the weekends? Along the beach, there are a lot of nice cafes, pubs, restaurants, hotels, and buildings. 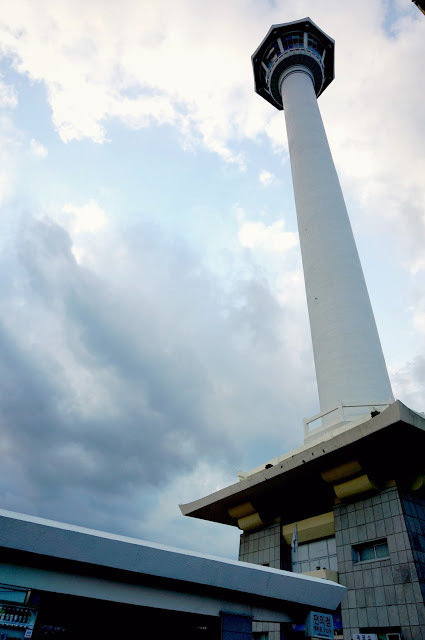 It's a relaxing place where you can spend your whole day here to sit there and enjoy the wind with blue sky. Since we have next destination to rush to, we decided just to have a short sightseeing tour at here. We had a long walk across from one end to another. 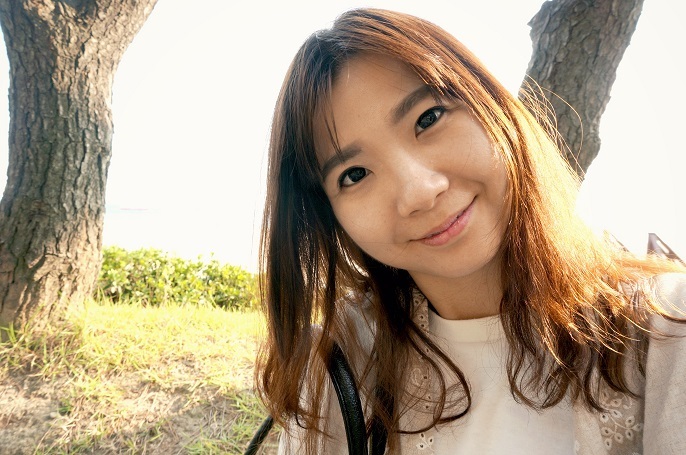 We had fun and laughter together along the beach, and keep taking pictures in different areas of the frame. I think we were the only tourist on that day, mostly were locals. Shoutout to May for taking so many nice pictures of us :) :) :) Finally you are well-trained! 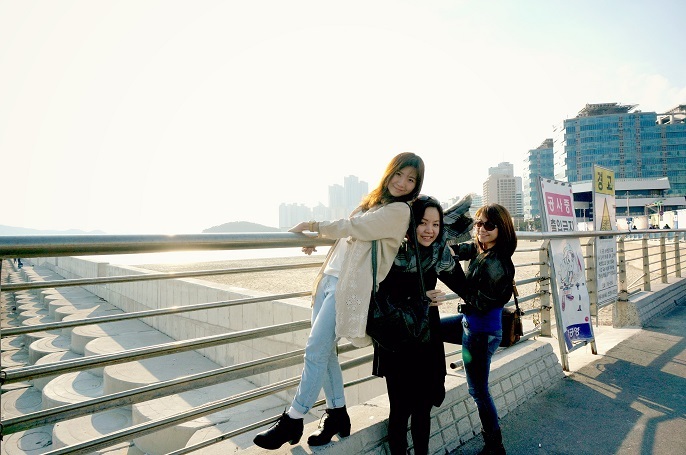 I think Haeundae Beach was nice to see, but it is not a must see place. 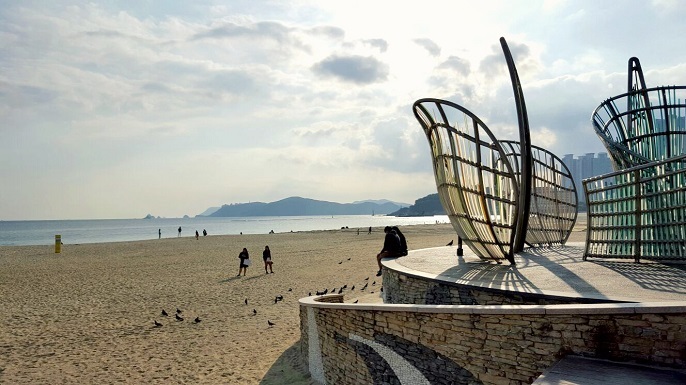 As I had seen nicer beaches before such as Koh Lipe, Ko Samui, Pattaya Beach etc, I think Haeundae Beach is lovely yet sorry to say that it is nothing so special about it. But, if you stay close enough to the beach, might as well just leave your footprints here. 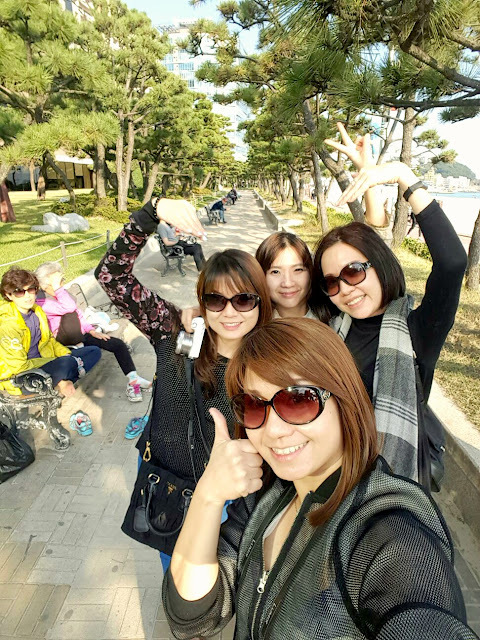 After the Haeundae Beach, we left to the Busan Tower & Yongdusan Park. 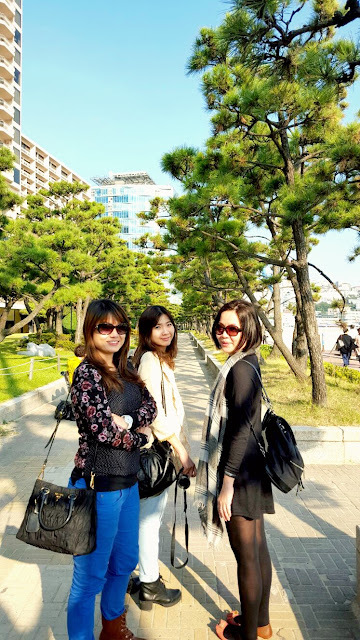 When we arrived at Busan Tower, it's already late afternoon like 4pm. The sky is getting darker and the weather gets colder too. 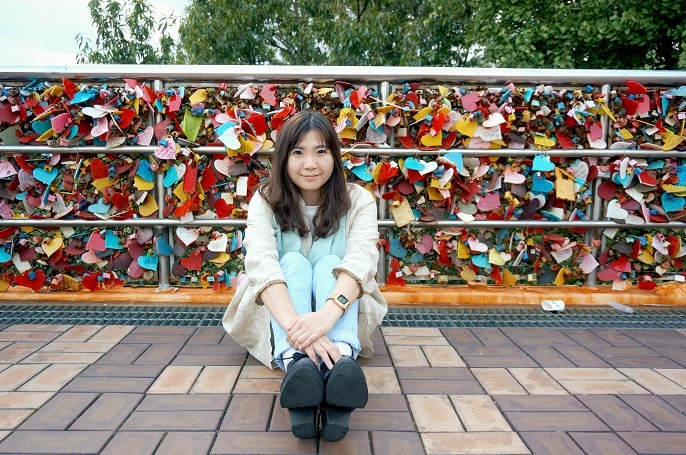 I guess love locks are everywhere in Korea. 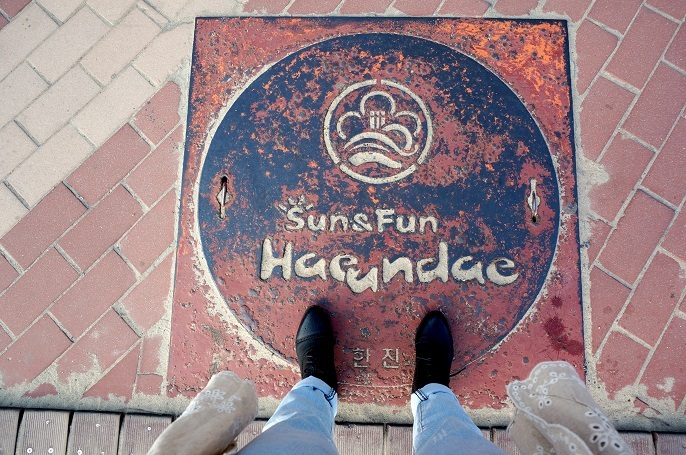 I saw one at Gamcheon Cultural Village, and now I found another big one at Busan Tower. 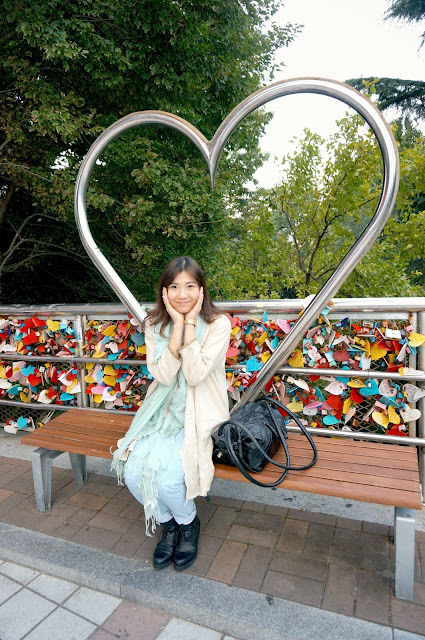 Have been seeing this love shape monument from the other's pictures! Feel so good because I finally sit here and take my own picture with it! When you got nothing pose, just JUMP as up as you can! 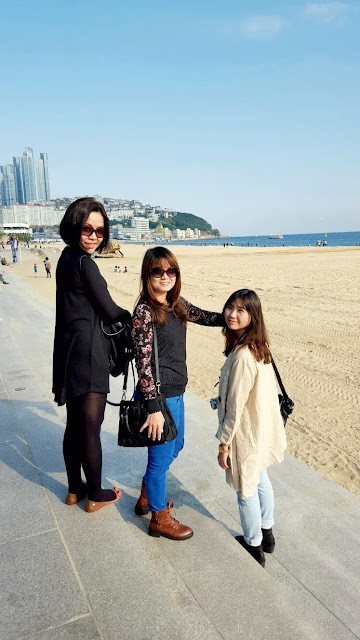 It's quite hard to snap a photo with the Busan Tower after we tried with many different angles. Would suggest you to take it from far so you can take the whole tower with you. 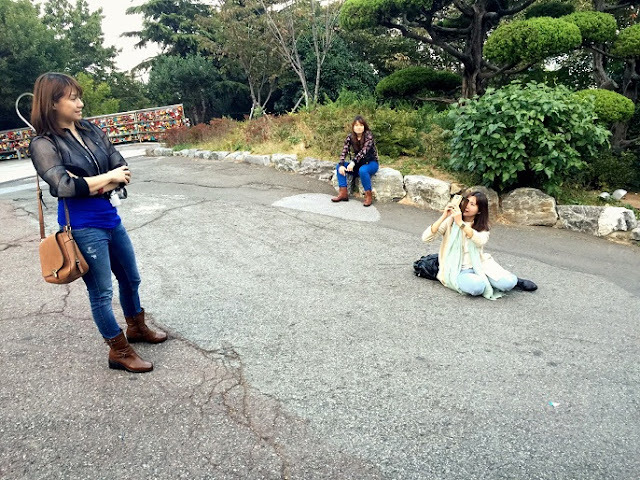 Behind the scene of taking the picture with Busan Tower! We didn't go up and explore the Busan Tower because we thought it's already quite late and the view would not be as nice as the daytime journey. So, we skipped going up but just lepak-ing around the park. 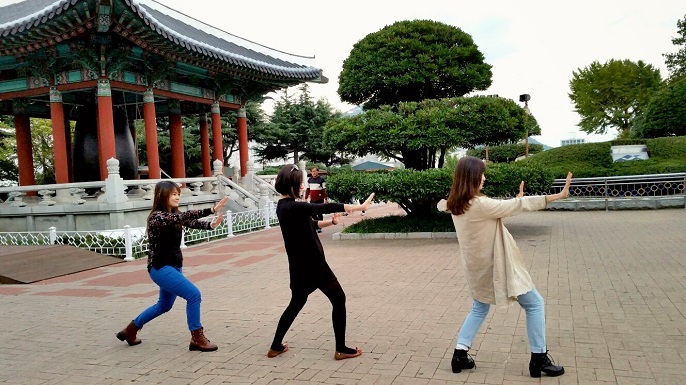 Yongdusan Park is just next to the Busan Tower. 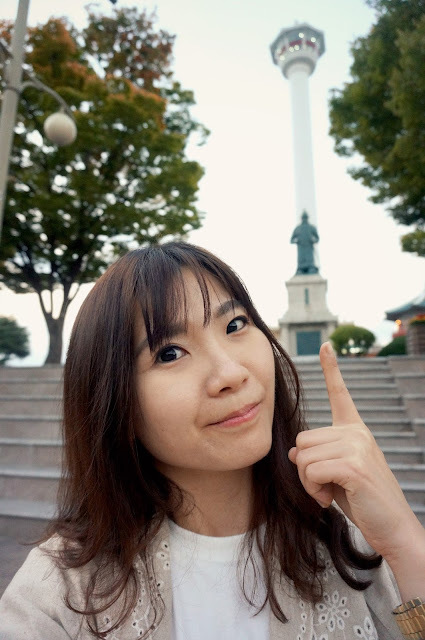 We walked through the Busan Tower to get to the Yongdusan Park or you probably can do it the other way round, depends where you start. 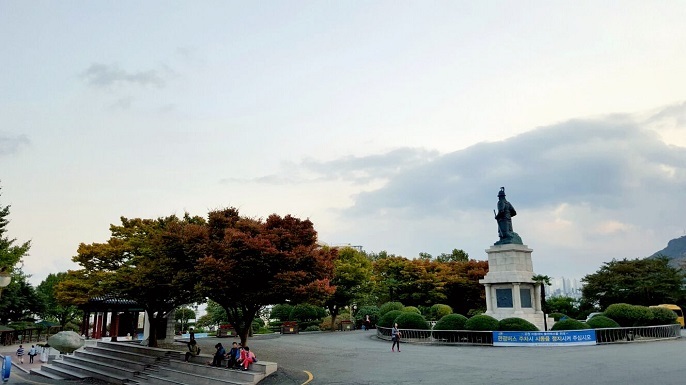 You can see how close the Busan Tower & Yongdusan Park are as the statue of Yi Sun-sin, the local Korean hero in the 16th century is just located in front of the Busan Tower. It's not a huge park but lovely to stay and look at. 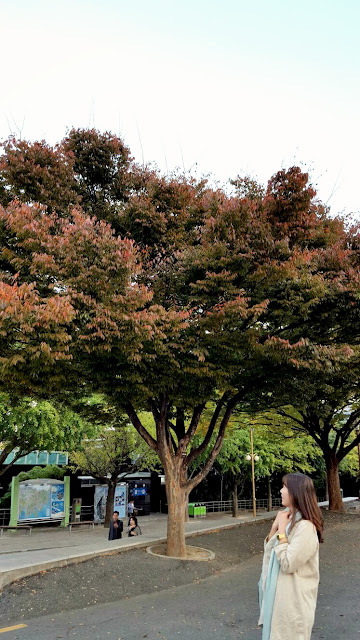 I think the park is more for the locals especially elderly to relax, wander around and catch up with friends. Since Yongdusan Park is located at downtown, so we just took the elevator down to the shopping street. And, we found a local fried chicken house to have our dinner. 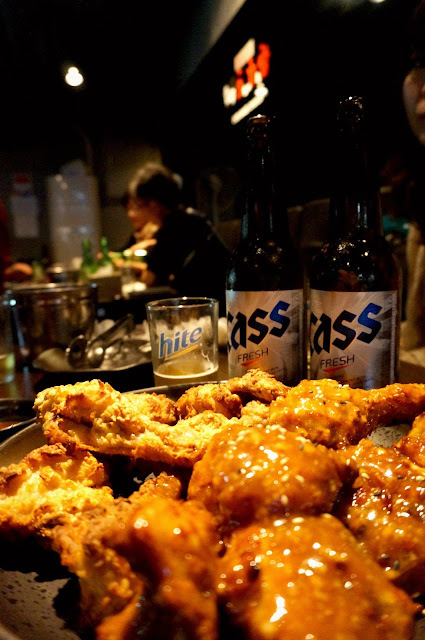 Fried Chicken and beer, the most wanted food in Korea! 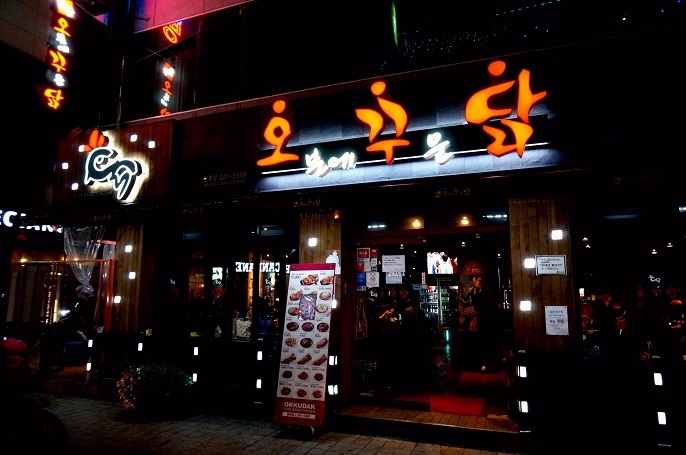 My advice is do not leave Korea without having their fried chicken, it's all so good! My most favourite flavor is the soy source and garlic! 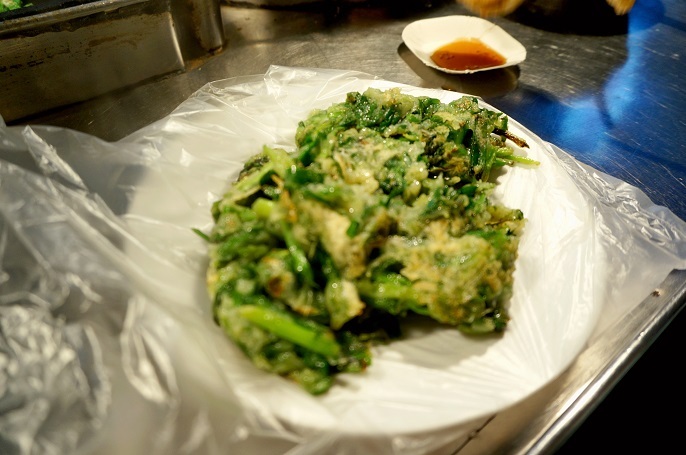 After the girl shopping time, we had supper with Korean street food. 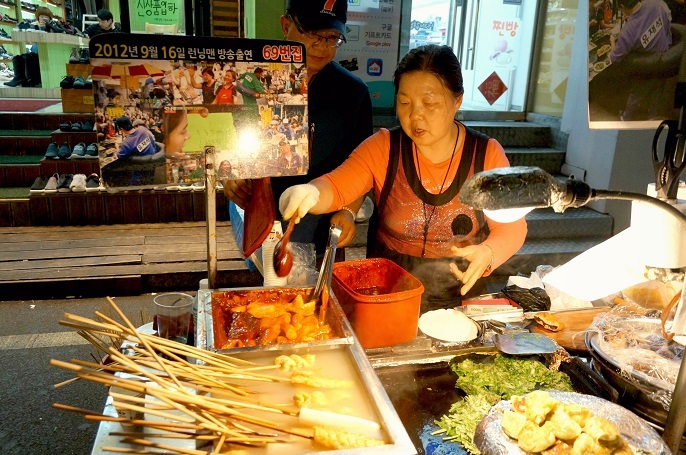 This is my most favourite street food in Korea, Fish Cakes! 맛있어요! Just grab a stick and start eating as many as you like, just like how we eat the luk-luk in Malaysia. The vendor will then count the total amount based on how many sticks you have before you leave. 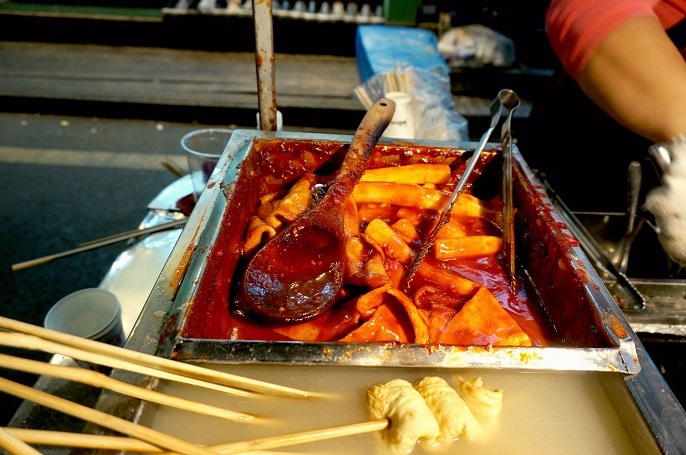 Ddukbokgi is probably the most popular street food in Korea. 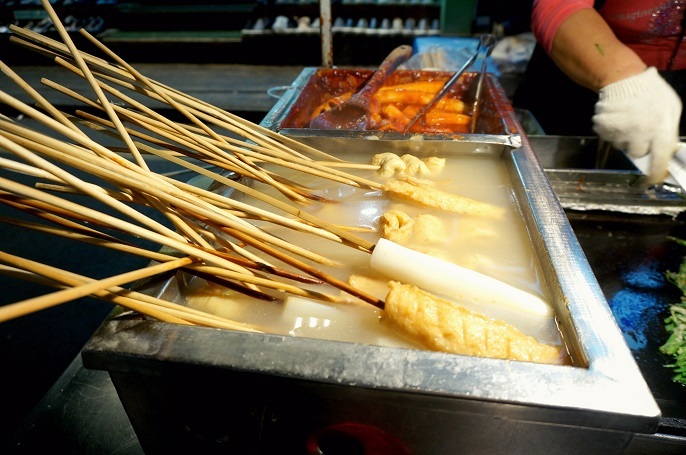 It's made from soft rice cake, fish cake and the sweet red chili sauce. If you like spicy food, this would be the right snack for you! I just find it is a bit too oily for my appetite. 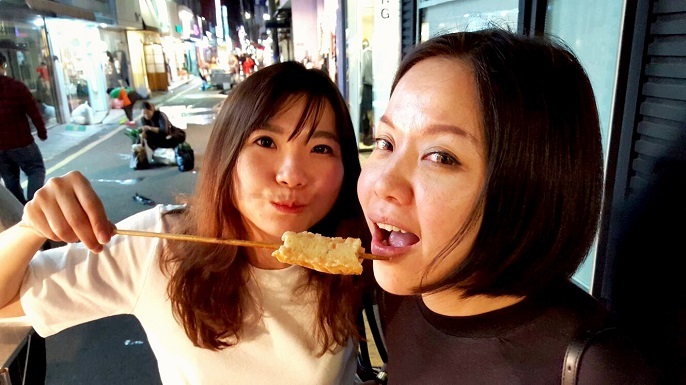 We all love Korean Street Food! 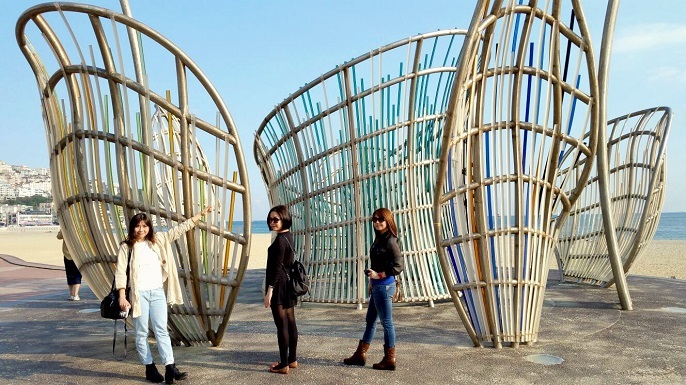 Thank you for all the good memories, Busan! You have been awesome for us during these 2 days! 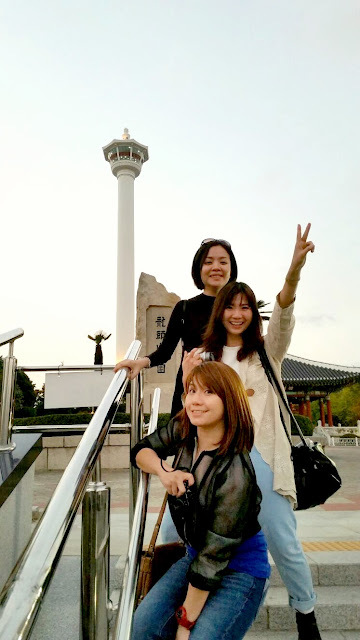 It has beautiful and natural scenery, and the people are helpful and friendly. 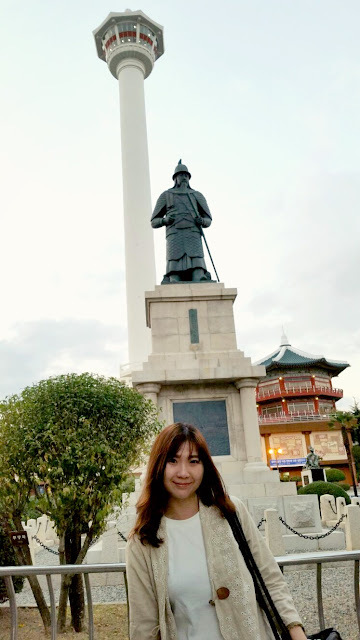 I will definitely come back again one day for those places I have missed out such as the BIFF Square, Diamond Bridge, Beomeosa Temple and cheap shopping there! So, that's all for Busan.